Tossonian v. Cynphany Diamonds Inc. 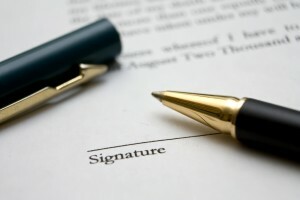 The Importance of Clear, Written Contractual Terms: Tossonian v. Cynphany Diamonds Inc.
One of the most difficult determinations to reach in contract law is establishing what the parties have agreed to, that is, what their intentions were going into the contract. The difference made by the inclusion or exclusion or inclusion of a single term can be exponential, particularly in employment contracts. The case of Tossonian v. Cynphany Diamonds Inc. 2014 ONSC 7484 (CanLII), for instance, turned on whether a former employee would be found to have had a fixed five-year contract (which would entitle him to his earnings for the remainder of the five years if dismissed early) or an indefinite contract of employment (which would entitle him to pay in lieu of reasonable notice, almost certainly less than the 4 years and 4 months left in his alleged 5-year term). This case amply demonstrates the importance of clearly establishing what the terms of an employment contract are, in writing. Razmig Tossonian (“Tossonian”) worked for a jeweller in Vancouver. In 2011, he entered discussions with the owner of a jewellery store in Toronto, Sarkis Zorian (“Zorian”), about moving to Toronto and working for the Defendant, Cynphany Diamonds (“Cynphany”) there. Tossonian and Zorian met on July 11 and 15, 2011; Tossonian claimed that Zorian orally offered him a guaranteed fixed term of five years during these meetings. Tossonian also stated that he shook hands with Zorian, and they agreed to draw up a formal contract later. On July 20, 2011 Zorian sent Tossonian an email outlining the proposed terms of his employment, with no mention of a 5-year term. Tossonian did not respond in writing, but telephoned Zorian. Tossonian claimed that in this conversation, Zorian said that he would “guarantee” Tossonian’s employment, which Tossonian interpreted to mean that he had a guaranteed 5-year fixed term of employment. 2. A document entitled “Employment Contract” which also mentioned a fixed 5-year term for Tossonian. Tossonian prepared both documents. Zorian claimed that he had signed them without reading them, and had only done so because he wanted to assist Tossonian in obtaining a mortgage, and that Tossonian had told him that the fixed term would help convince the bank that Tossonian was a good candidate for a mortgage. Early in 2012, Tossonian told a fellow employee that he had been speaking to a rival jeweller who had offered him a better position. The fellow employee told Tossonian to be careful, in case Zorian heard about his intentions. Tossonian told her that he didn’t have to worry, because he had a 5-year term; he believed that he could not be dismissed in that 5 years. In late March of 2012, Zorian discovered Tossonian’s activities and confronted him. Tossonian claimed that Zorian angrily dismissed him on March 30. Zorian claimed that Tossonian had resigned. 3. If he had an indefinite contract, what Tossonian’s reasonable notice period ought to be. The first issue—categorizing the end of Tossonian’s employment relationship with Zorian’s jewellery store—was mostly factual, and easily resolved. The court found Tossonian’s account more believable and concluded that Zorian had fired him. The second issue, the contractual interpretation, is what the case turned on. The court found that the email of July 20, 2011, was the offer of employment which Tossonian had accepted. Even if Zorian did orally offer a five-year term on July 15, Tossonian had made no effort to confirm this term in writing after seeing the offer on July 20, which did not include it. Instead, after seeing this offer and failing to confirm any changes to it in writing (or orally, since on the phone he only received a “guarantee” of employment, but no specific five-year term), Tossonian accepted it by moving to Toronto and starting work. The fact that the parties shook hands on July 15 and agreed that they would write up a formal contract later was not relevant to the court. As the court noted, parties can accept an offer by their conduct, and Tossonian accepted the July 20 email offer by going to work on its terms. While it is possible for parties to say that no contract exists until they draw up a later formal document, their conduct has to be examined to see if that later document is really a pre-requisite for the contract (which makes it meaningful) or just a document which reflects how the parties want the agreement to be carried out (which means it can be ignored). It was found that Tossonian accepted the offer of July 20 by his actions. The court held that the later documents which Tossonian gave his employer to sign were just expressions of how he viewed his contract of employment, and the documents which his employer gave him were merely a well-meaning effort to help him secure a mortgage. Tossonian, therefore, had a contract of indefinite employment. On the third issue—Tossonian’s entitlement to notice—the court concluded that although Tossonian had only worked for Cynphany for 8 months, he was entitled to two months’ pay in lieu of notice, reflecting the significance of his move from Vancouver and the fact that his “premature and summary” dismissal made it more difficult for him to obtain replacement work. Employers and employees alike must keep in mind the importance of establishing an employment contract’s terms in writing. If they want the formation of an employment relationship to depend on a particular formal document, they should make this clear in their negotiations. If the courts are later called upon to determine what a confused contract’s terms are, they will look at the actions of the parties after a particular offer, and if those actions reasonably indicate acceptance, then that offer can effectively form the contract of employment, even if one or both parties believed otherwise. Certainty, clarity, and good record-keeping are essential. Employers and employees should also note the reasonable notice determination in this case, insofar as it once again demonstrates that there is no fixed “one-month per year of service” rule when calculating notice. The commitments a short-term employee makes (like moving for employment) can entitle them to a longer notice period than might otherwise be the case. If you have any questions about a contract or offer of employment or your rights and obligations under employment law generally, contact Monkhouse Law today for a free consultation.